Not to get all cyber stalkerish on JoeBlogs, but there was a quick thought in the Weakest World Series Winners since WWII post that we mentioned in our EvRA post, that we thought was worth looking into. -- Many view the '85 Royals as the worst team to win the World Series in 50 years, but it's a similar illusion to the 2010 Giants. The Royals had a lot of really good pitching. Offensively, though, yeah, it was a nightmare. Call them George Brett and the Eight Outs. 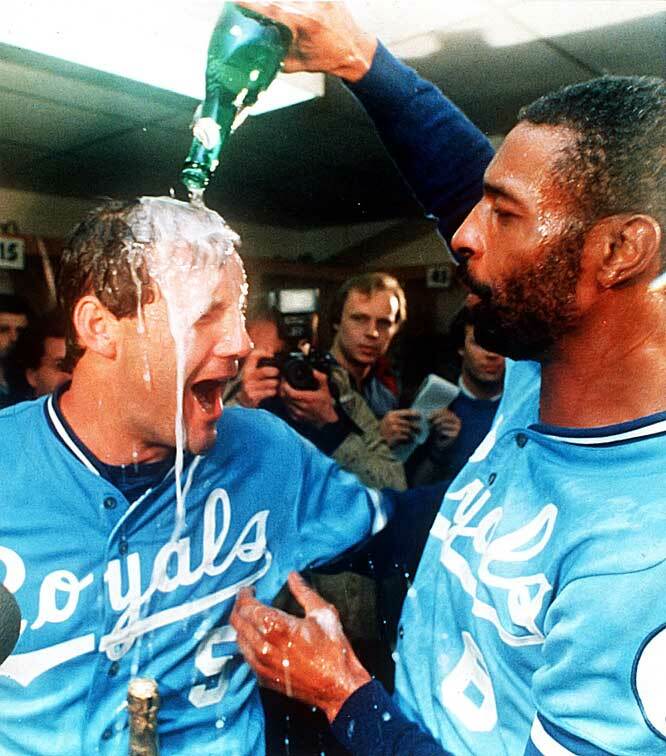 I've often thought that Brett should have been MVP in 1985, not necessarily because he put up the best year (Rickey Henderson's year was awesome; Don Mattingly was certainly great) but because it would have been a nice gesture after making him play on that lineup all year. I think it would be hard, as you look through baseball history, to find a player have THAT GOOD an offensive season on a lineup THAT BAD. 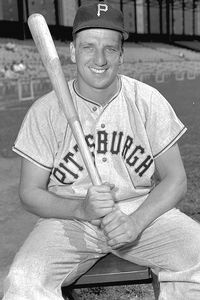 Maybe Ralph Kiner in '51. But I don't think so." So, we took this as a mini-challenge. First, try to find other players to throw into the discussion and see who would rate highest in Good Season : Bad Lineup ratio. After searching baseball history online and in a couple of actual books, we settled on the following group. Let's look at how these players' seasons and their team's lineups rate by three of our favorite offiensive statistics: OPS+, Baseball-Reference's Offensive Wins Above Replacement (oWAR), and wOBA from Fangraphs. To be clear, we aren't saying anything close to this being a Top Leaderboard. These are people we thought could be in the discussion. Dawson, of course, is the only player to ever win an MVP award on a last placed team, but he should not enter into this discussion. The oWAR list is incredible, when looking at the comparable dominance of Giles and Brett. It's interesting on the wOBA list (below) how Ralph Kiner and a 34-year old Willie Mays shoot up the chart, while Giles again finishes ahead of George Brett. Another Posnanski Brilliant Reader uncovered Wally Berger in this comment. 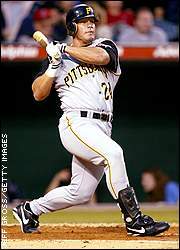 Looking at these numbers make it seem, to us, that Brian Giles in 2002 was the best example of Great Player in a Bad Lineup. If you like Offensive Wins Above Replacement, (and who here doesn't?) then, you have to be blown away by Giles and Brett. Here's an assignment for all the aspiring sabermetricians out there. It shouldn't be very difficult. Let's see if we can find more people to add to the list of players who contributed over 50% of their team's oWAR.